Structuring your site is a crucial element of SEO. If you want to generate more traffic to your website, you should create a structure for your site that makes sense to Google and your site’s visitors. In this post, I’ll explain why site structure is such an important aspect of SEO. If your site is well-structured, the most important content will receive the most internal links. By linking to this content, you’re telling Google what the most significant content is. You’ll probably want exactly this content to pop up in the search engines. If your internal linking structure is of high quality, you’ll have a much higher chance that the most informational content on your website will rank well in the search engines. We also refer to this as cornerstone content. If you aren’t structuring your site well, you could well be competing with your own content to appear high in Google. If you don’t tell Google which one of your six blogposts about, for instance, spaghetti is the most important, Google won’t know which to rank highest. It’s hard enough competing with other websites for those prime spots in the search results, you should definitely make sure not to compete with your own content! A decent site structure will help your site to rank high in Google. Besides that, site structure is also important for the User eXperience (UX). The structure of your website should be reflected in the navigation of your website. If this structure is clear, your audience will easily find their way on your site. A good UX will increase your chances for people to convert: buy your products; subscribe to your newsletter or return for another visit. If you’re serious about your website, you’ll probably add and change things frequently on your website. Without even noticing it, your site could get cluttered rather quickly. Perhaps you’re posting a lot in one category and very little in other ones. Perhaps you’re deleting pages, without redirecting them. And perhaps you are forgetting to link to (and update!) those most important blogpost, because you only think of your most recent blogposts. While perfectly understandable, your website could well get cluttered. Site structure is an important aspect of your SEO strategy. And structuring your site is something that is an ongoing process. 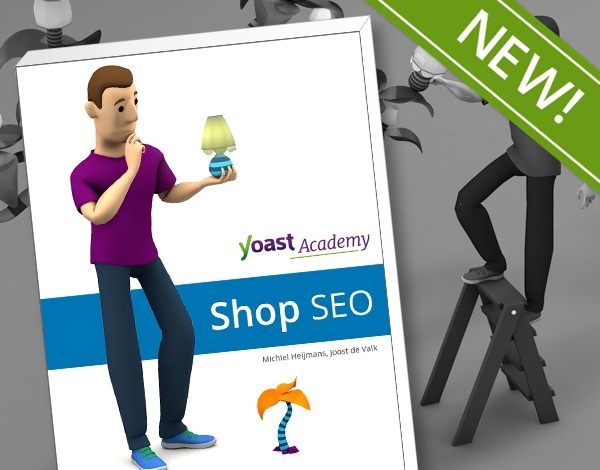 Yoast SEO premium can really help you to set up and improve the structure of your site. The redirects functionality will allow you to easily redirect pages you delete (so you’ll pass on the linking juice to another page). And our new related links functionality will make sure you are interlinking articles with similar topics. We’re already working on new features in order to help you improve the structure of your site even more. On top of that, if you want to learn more about site structure, we’ll have a nice surprise for you next week. We’ll be launching a brand new Site structure training! Following this course will enable you to really get started in improving your own site structure. Can’t wait? Just start by reading our ultimate guide!